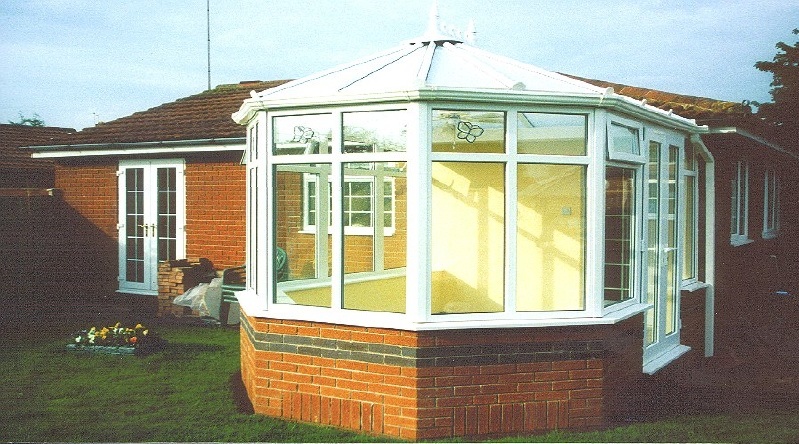 The limits to combining a mix of conservatory styles is bound only by the limits of your imagination. 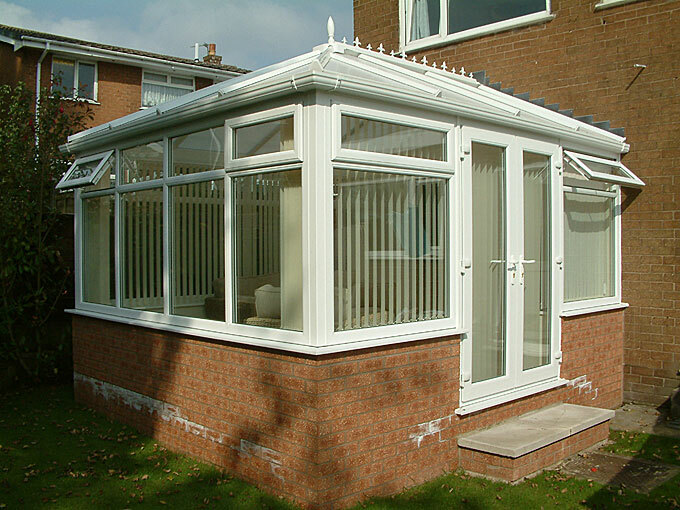 Whether you choose your conservatory for work, play, dining or entertaining. 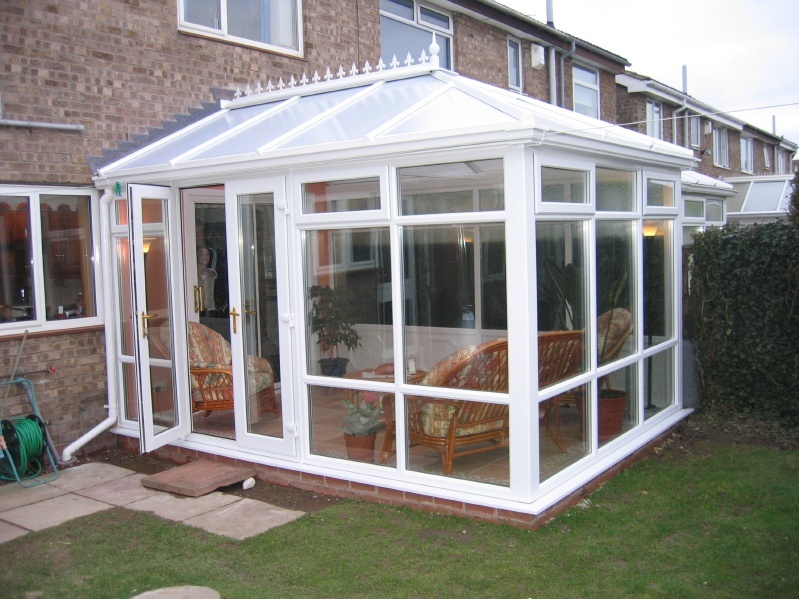 It will improve your home and your lifestyle. 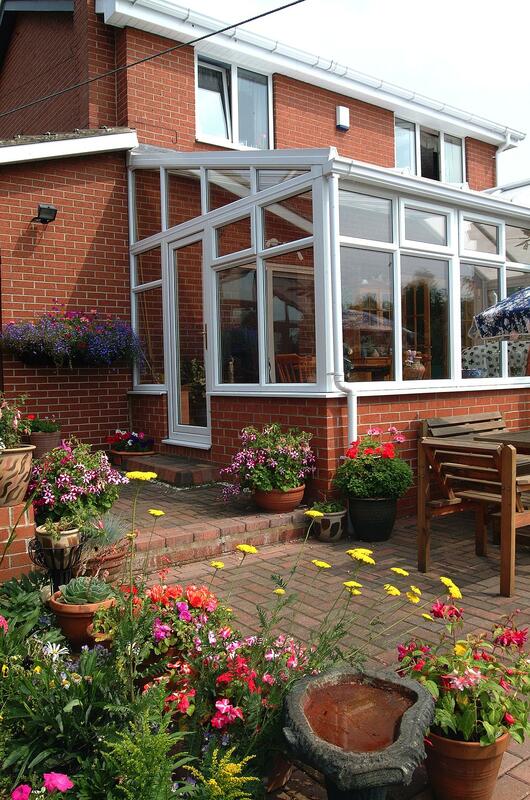 You will enjoy being in your new M.F Plastics conservatory all year-round. 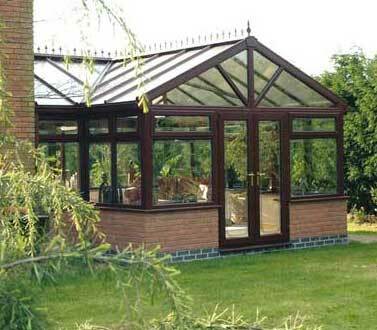 The real beauty of a conservatory is that it is a room, that is part home & part garden. 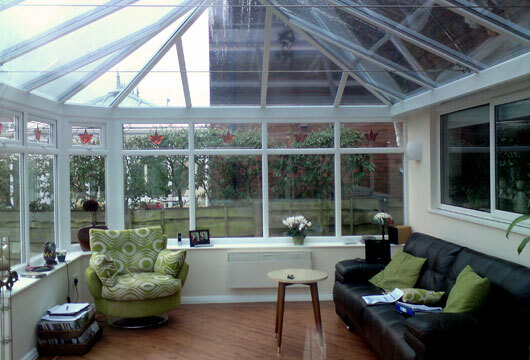 On a warm summer’s day with the conservatory doors open the conservatory is simply an extension of the garden. 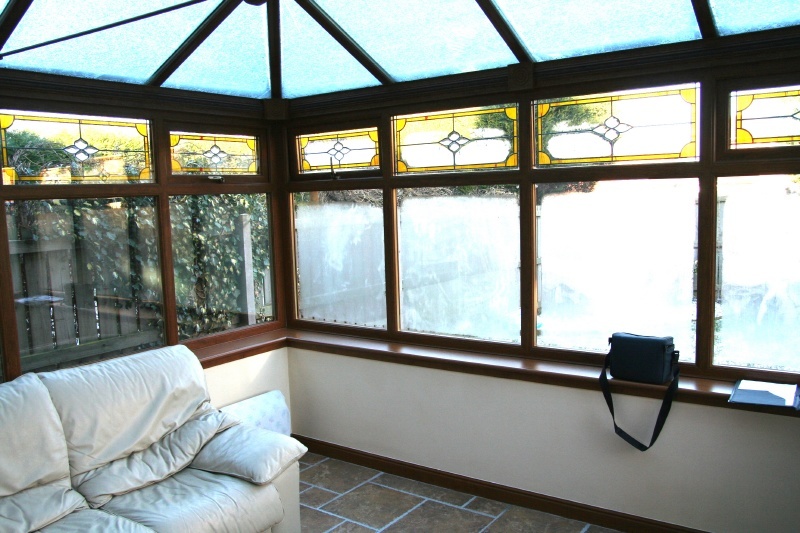 On colder days, it is a cosy and comfortable haven in which to enjoy the outdoors whilst the wind and rain are firmly excluded. 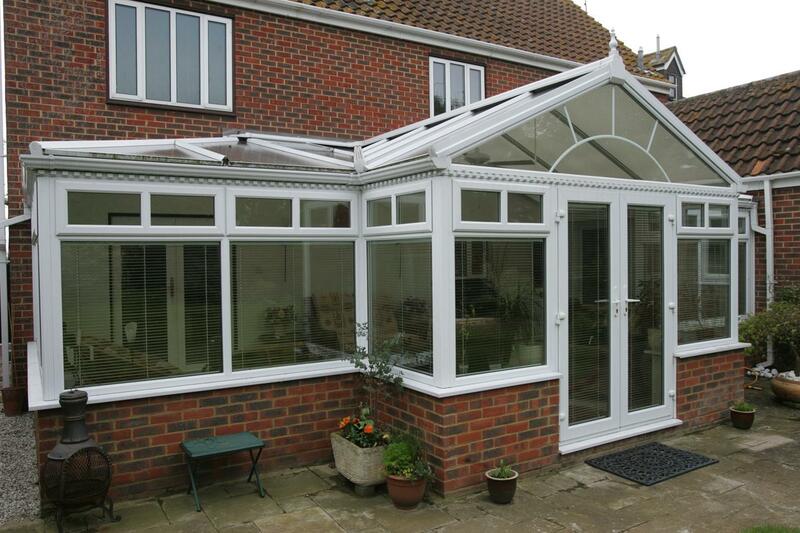 What kind of conservatory do you have in mind? 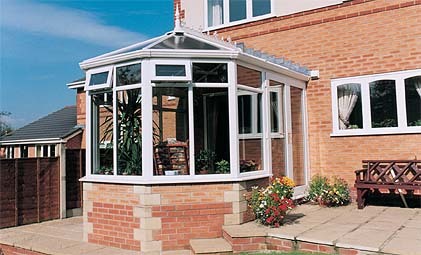 A Victorian, Edwardian or a stylish and contemporary conservatory to compliment your home? 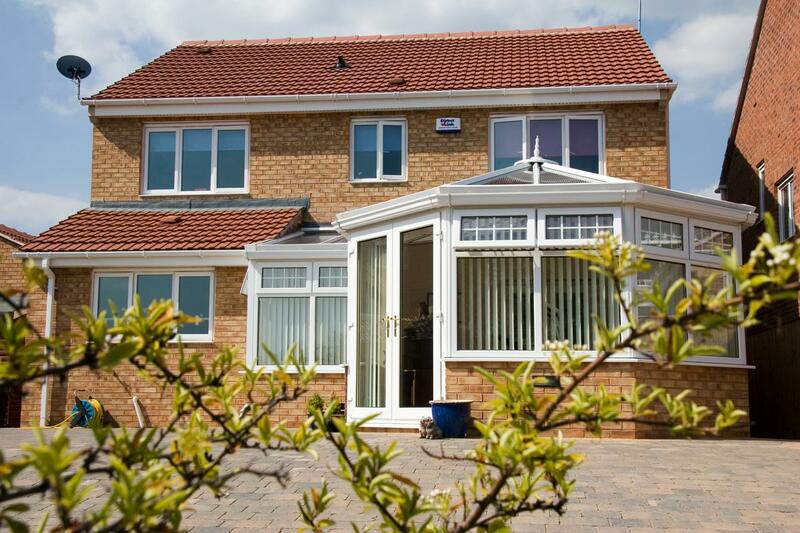 Whatever your requirements, you can expect unusual attention to detail. 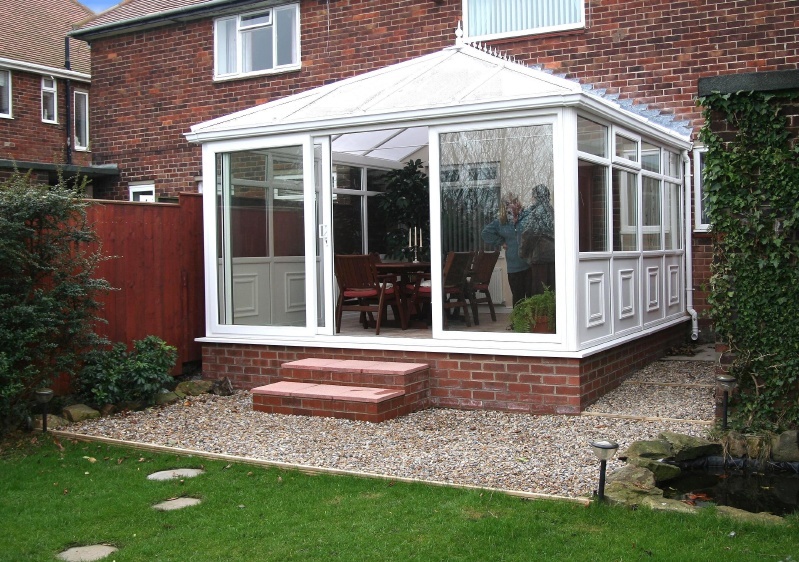 Your new conservatory will be unique to you and your home, created in discussion with one of our conservatory design consultants. 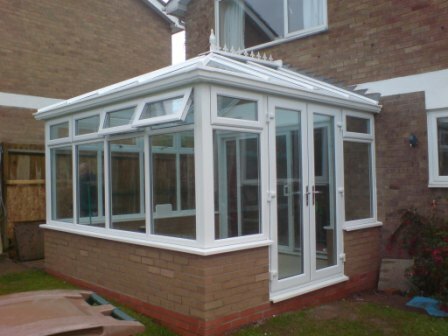 The conservatory design consultant will discuss with you all the aspects of your conservatory including do you need planning permission and the conservatory roofing options. 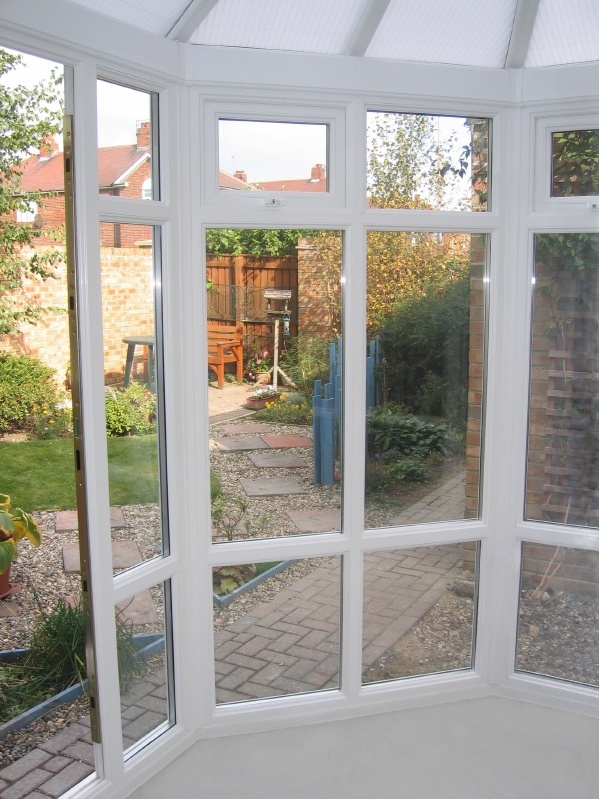 So many householders who invest in good double glazed windows and doors soon wonder why they didn’t do so years before. 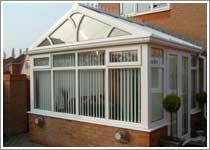 Similarly those who add conservatories to their homes rapidly enjoy a whole new extra dimension to their lives. 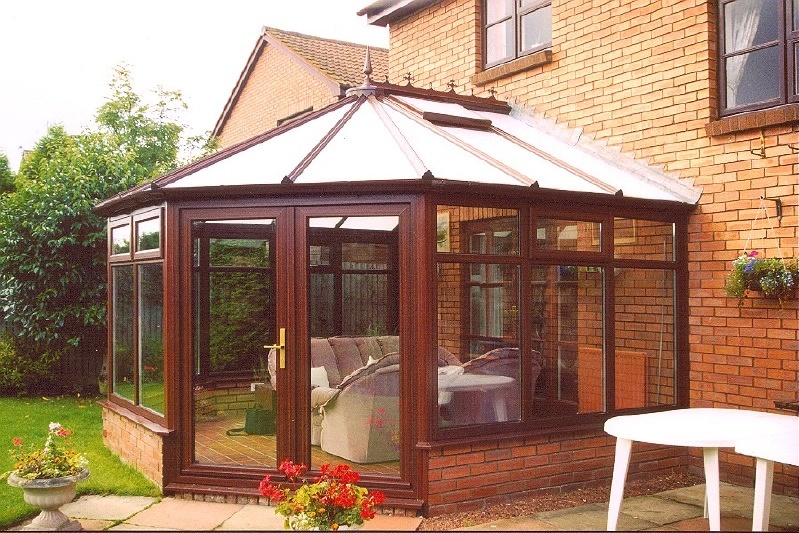 Quality materials, quality products and expert advice truly count if you are to enjoy a constant reminder of a worthwhile investment. 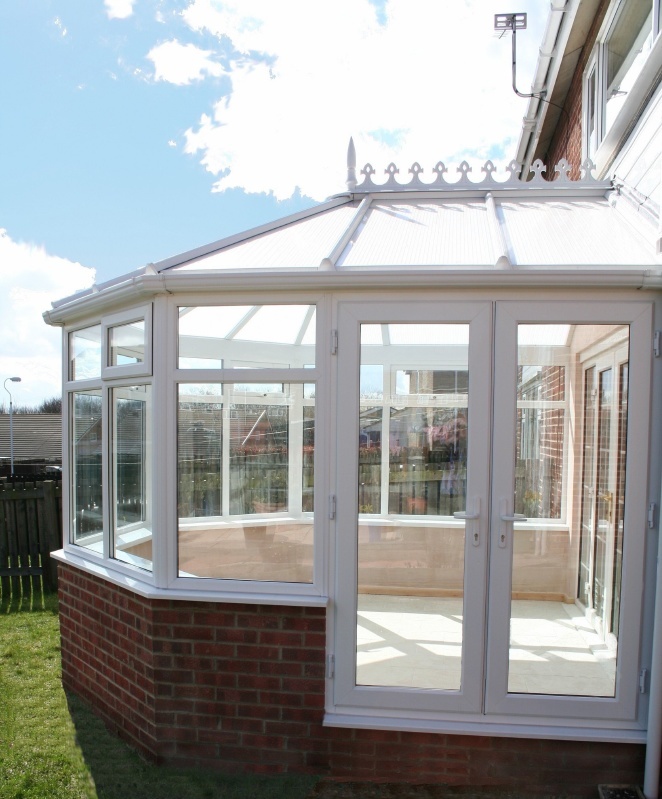 Adding a conservatory gives you more room to enjoy your home to the full, with a beautifully styled and crafted conservatory. 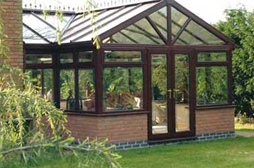 Individually designed for a variety of budgets and tastes, our conservatories allow you to choose from a variety of finishes and glazing options, to complement your home. 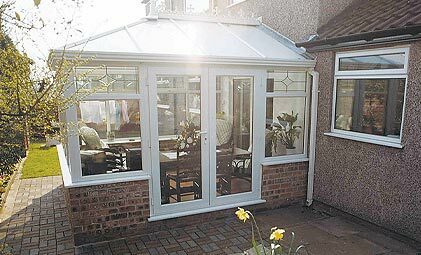 A blend of tradition and technology has resulted in M.F Plastics being able to offer a conservatory that not only looks exceptional, but that’s capable of withstanding the harshest of what ever the British whether can throw at it. 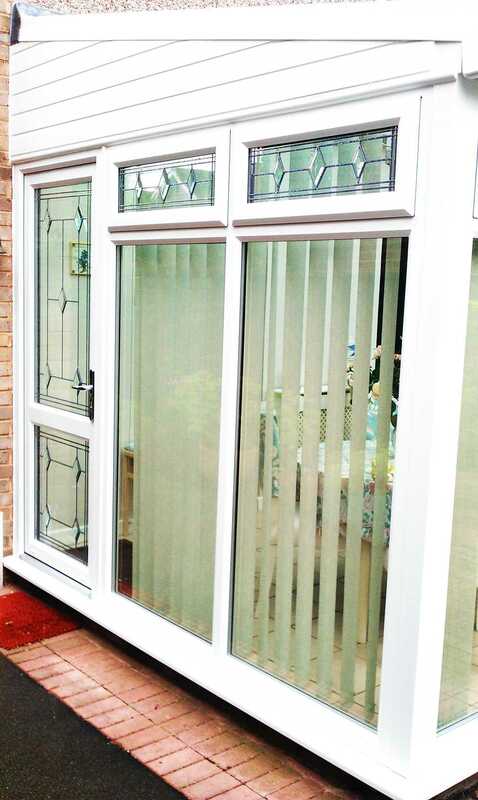 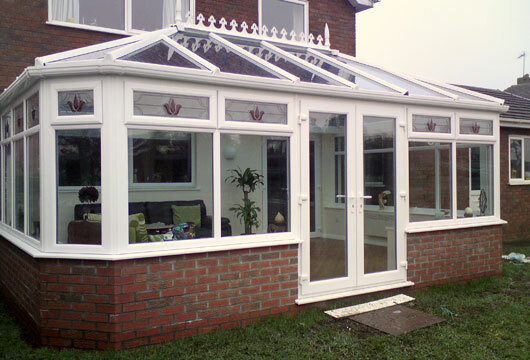 In addition, the use of the very finest raw materials enables your conservatory to offer enhanced resistance to intruders as well as good sound proofing qualities. 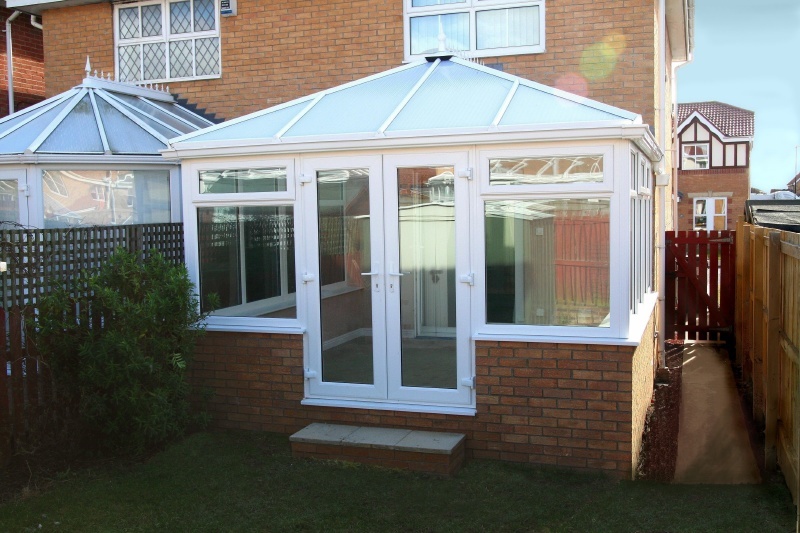 From design to installation, your conservatory will be hand and custom built for your optimum comfort, using only the finest quality materials. 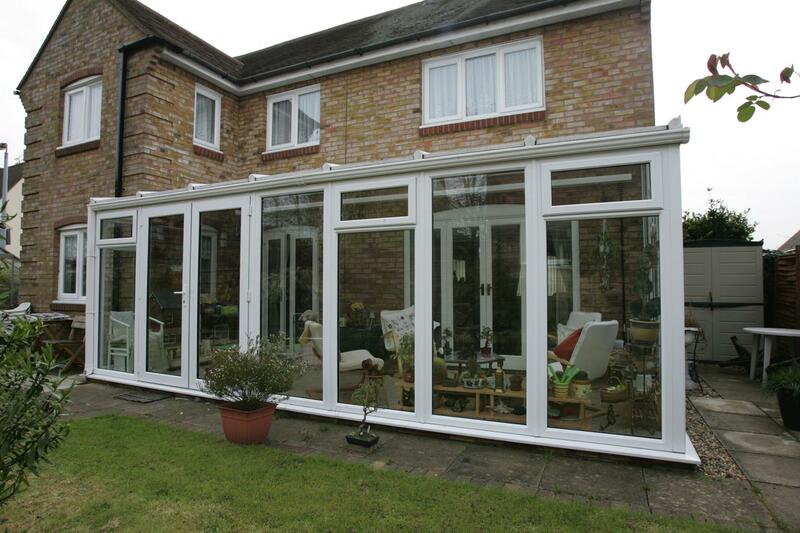 The elegant way to maximise your extended living space. 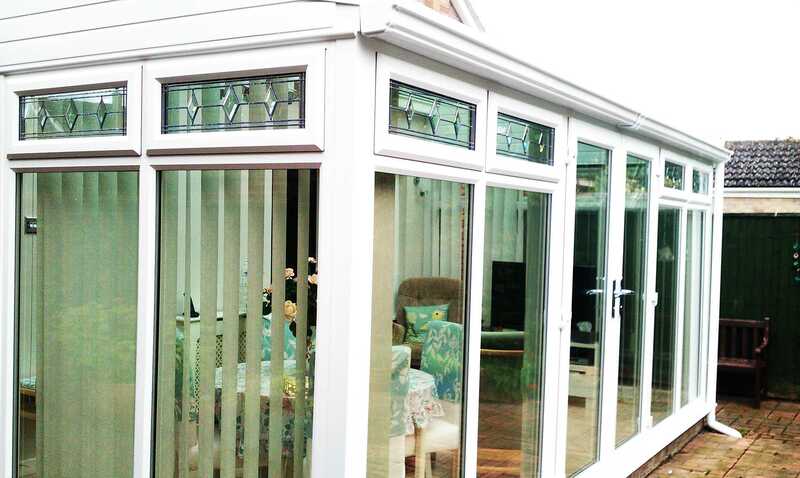 With its bold square-fronted projection, the Edwardian style conservatory maximises the available space in your conservatory. 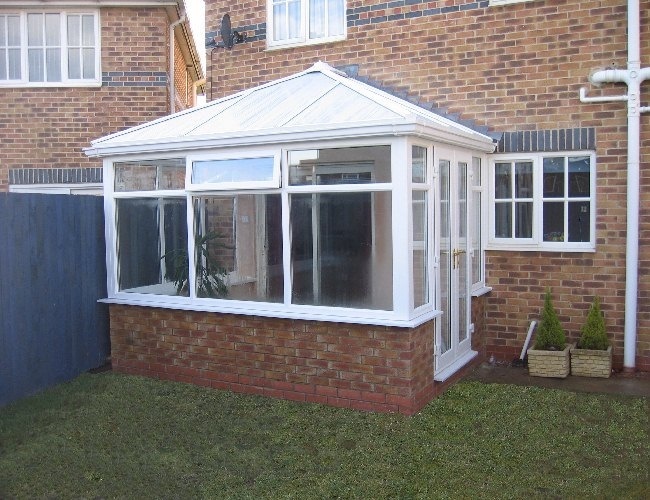 Designed to reflect the elegant and dignified simplicity of the Edwardian architectural style, this type of conservatory is often the most practical and efficient way to extend your home. 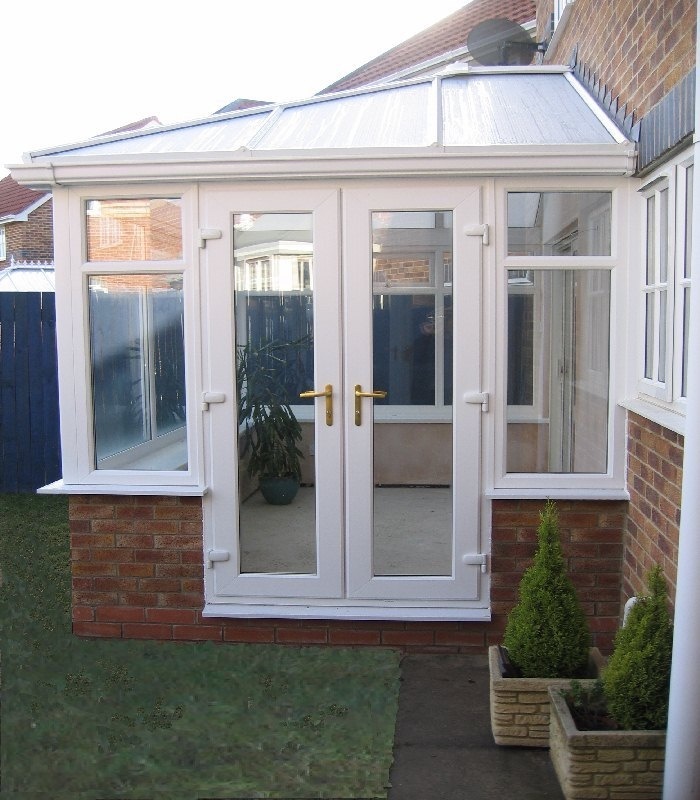 Available in a choice of colours or woodgrain finishes, your Edwardian conservatory will blend perfectly with the style of your home and become a real asset to your property. 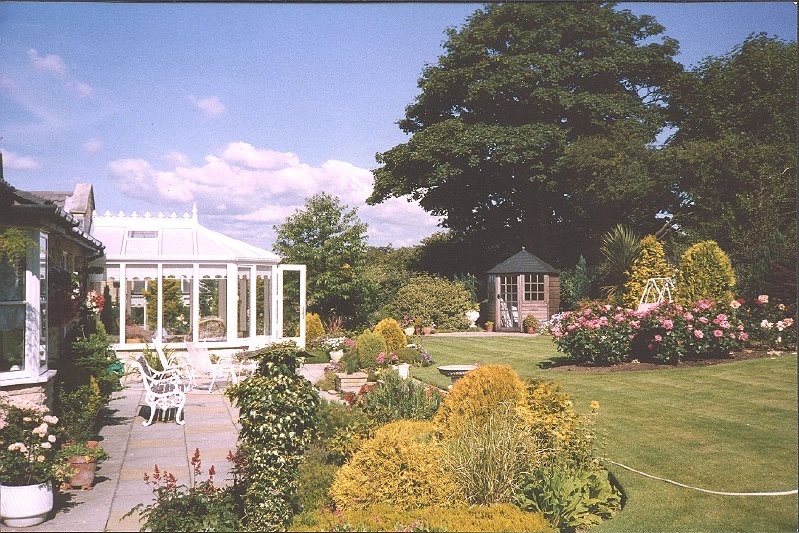 What better way to enjoy long summer days and cosy winter evenings than from the relaxing retreat of a stylish Edwardian conservatory – tailor-made for you to enjoy! 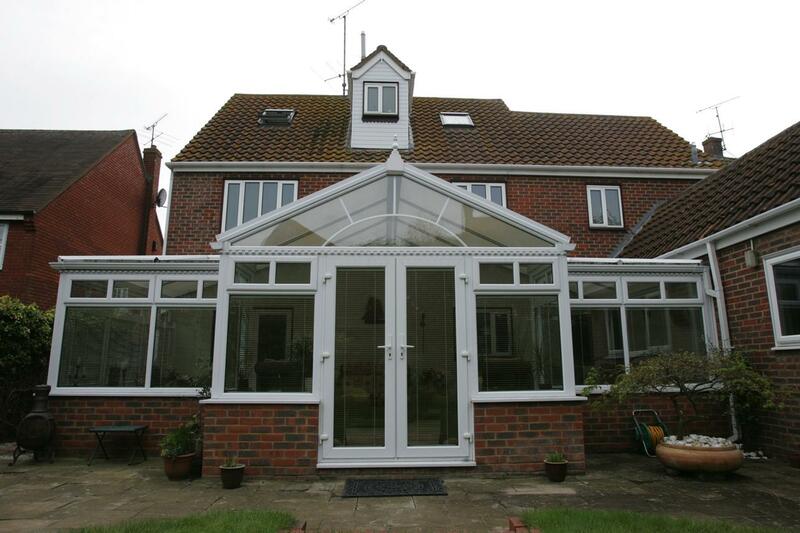 Add a classical period extension to your property. 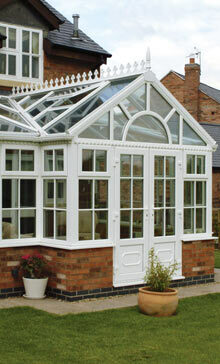 The Victorian conservatory roof features classical styling, designed to create an eye-catching addition to any home. 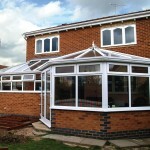 It has a distinctive multi-faced projection, with a choice of three or five facets. 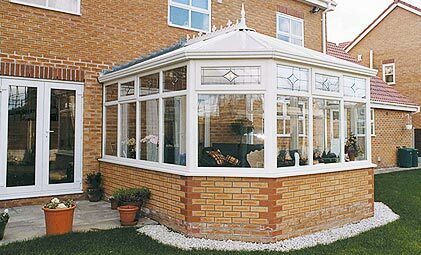 if space permits, create a much larger conservatory, reminiscent of the large country-house orangeries of the Victorian era. 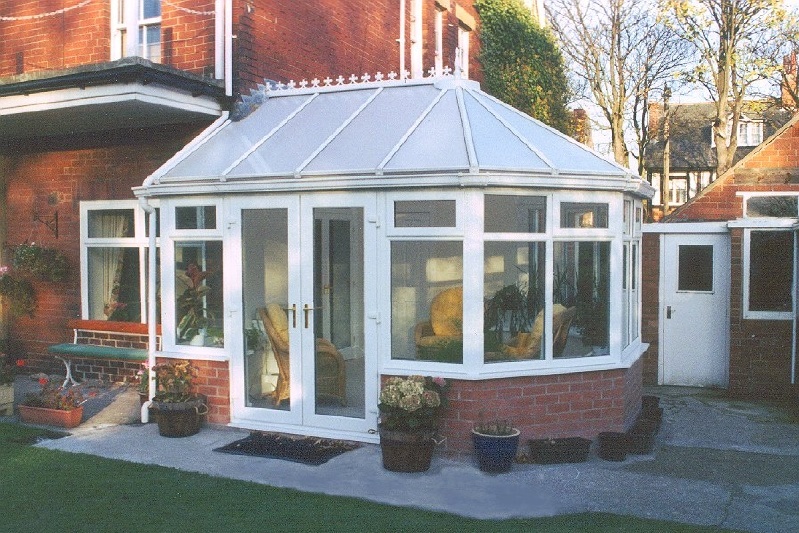 Whatever size you choose, a M.F Plastics Victorian conservatory is the perfect way to bring extra light and space into your home. 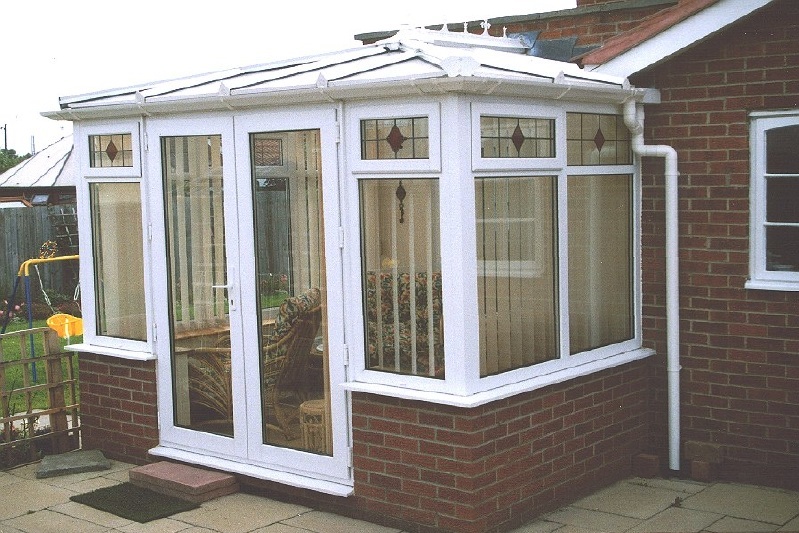 Available in a choice of colours or woodgrain finishes, your Victorian conservatory will blend perfectly with the style of your home and become a real asset to your property. 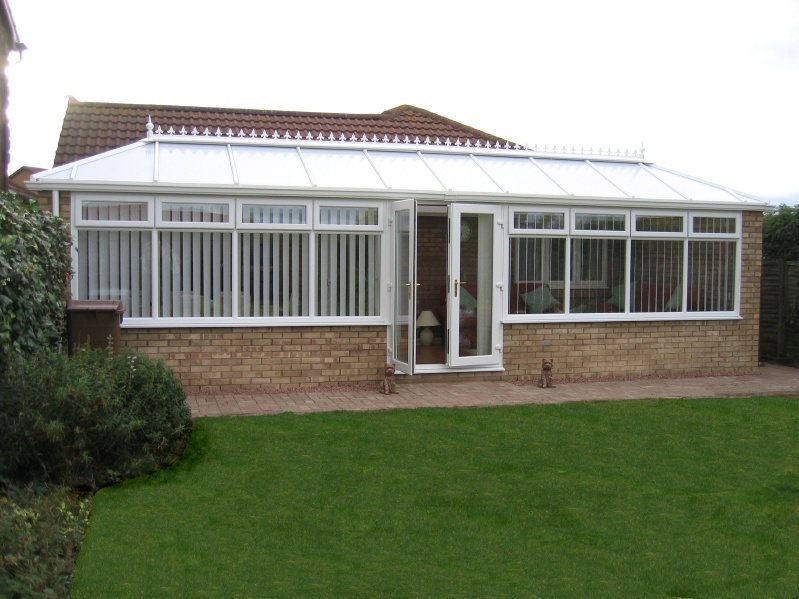 What better way to enjoy long summer days and cosy winter evenings than from the relaxing retreat of a stylish Victorian conservatory – tailor-made for you to enjoy! 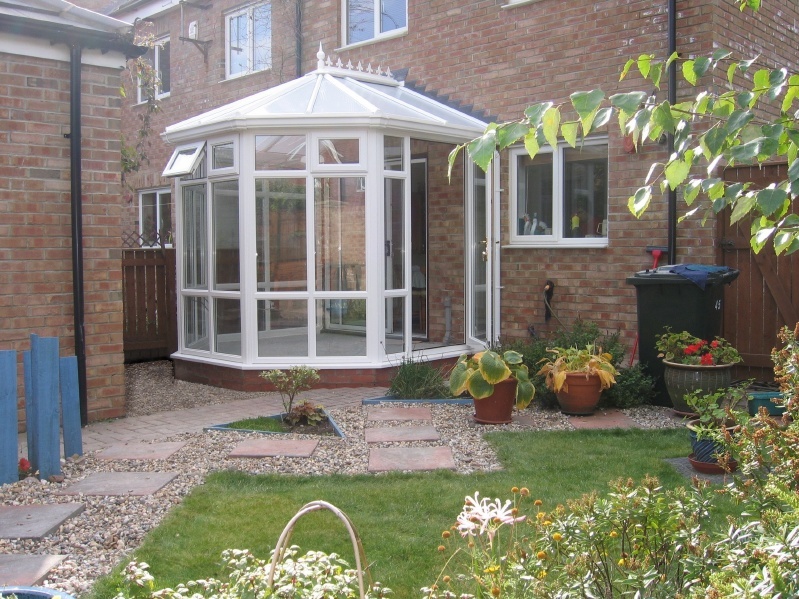 A simple, cost-effective design to bring the outside in. 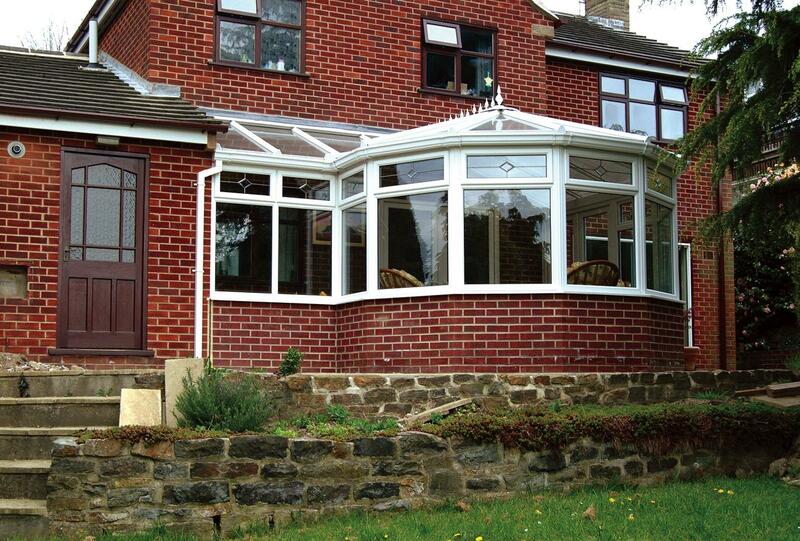 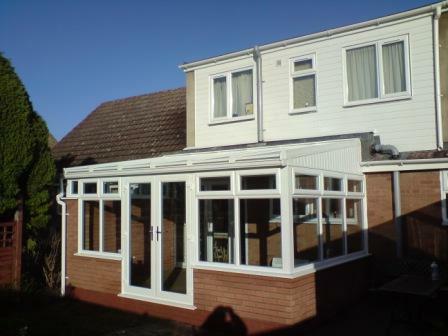 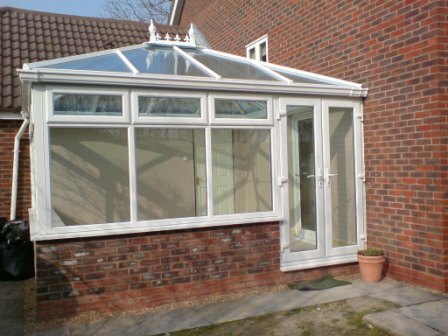 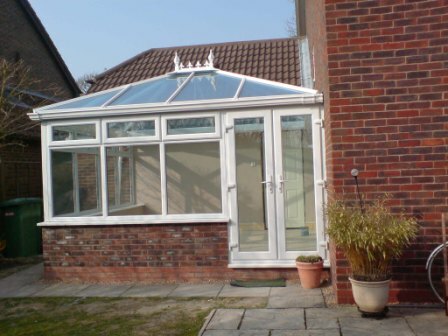 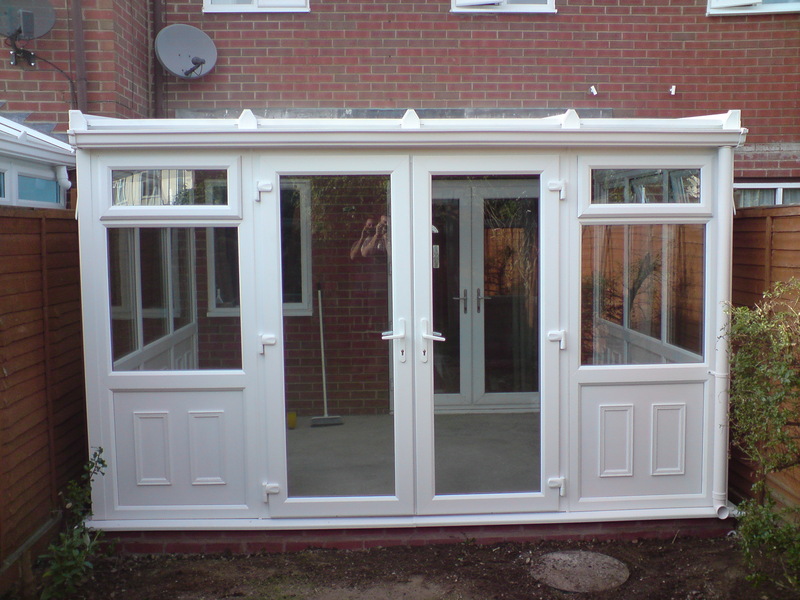 Optimise your conservatory space with a classic Mediterranean style conservatory. 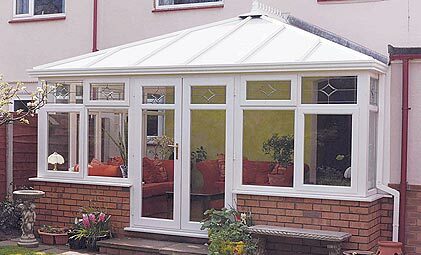 Available in a size and colour to suit your home, Mediterranean conservatory roofs can be supplied in a range of pitches to fit any building, even bungalows or locations where height restrictions apply. 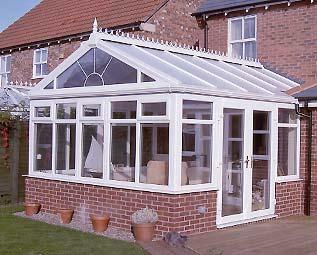 Mediterranean conservatories are designed to run along the house wall. 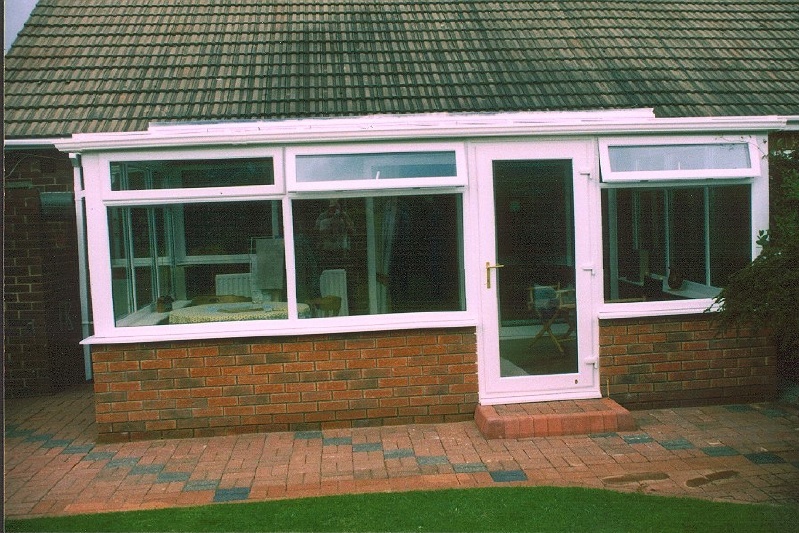 The ends can be finished vertically or with either one or two hips (slopes) at either end. 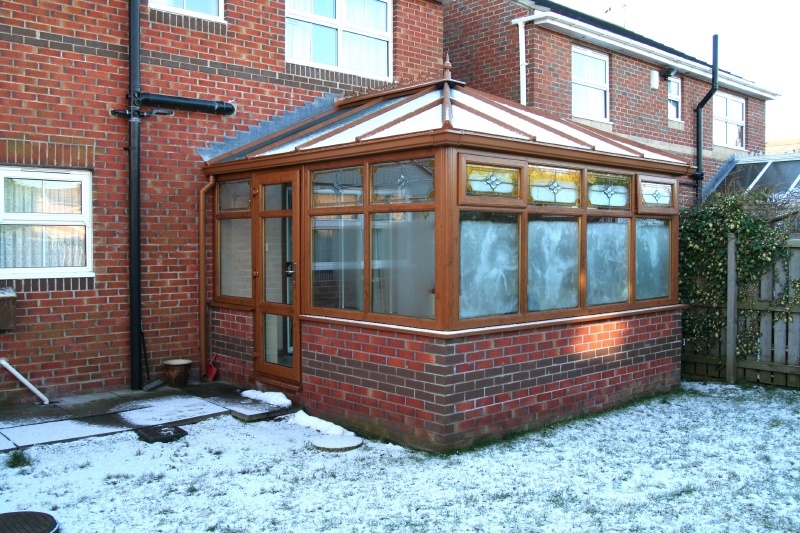 Available in a choice of colours or woodgrain finishes, your lean-to conservatory will blend perfectly with the style of your home and become a real asset to your property. 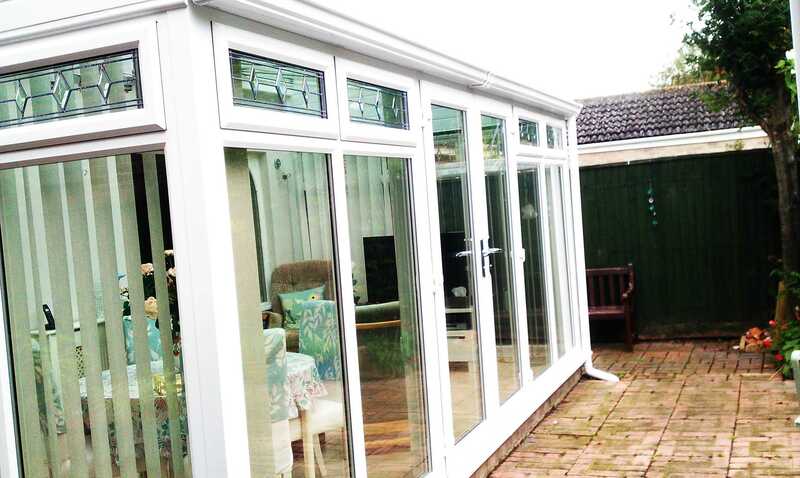 What better way to enjoy long summer days and cosy winter evenings than from the relaxing retreat of a stylish M.F Plastics conservatory – tailor-made for you to enjoy! 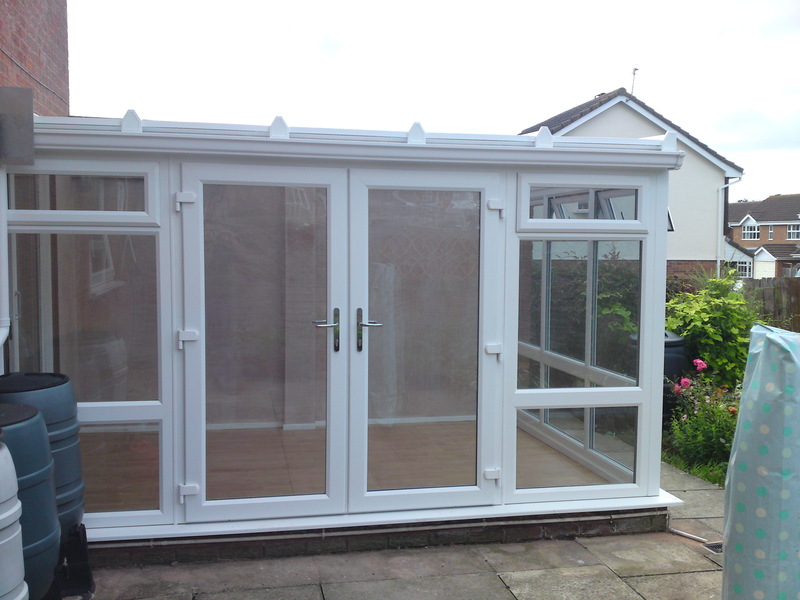 Simplicity and style for your outdoor room. 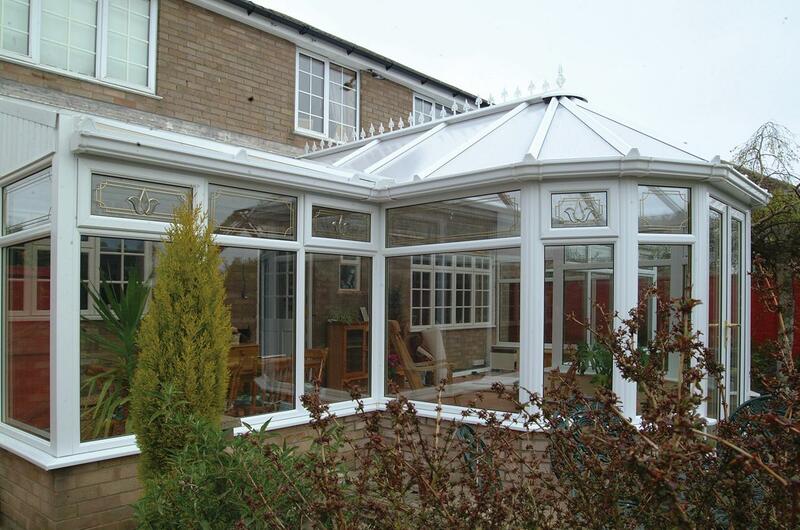 Choose a gable-ended conservatory for simple elegance and maximum space utilisation. 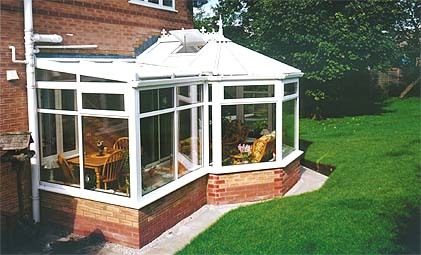 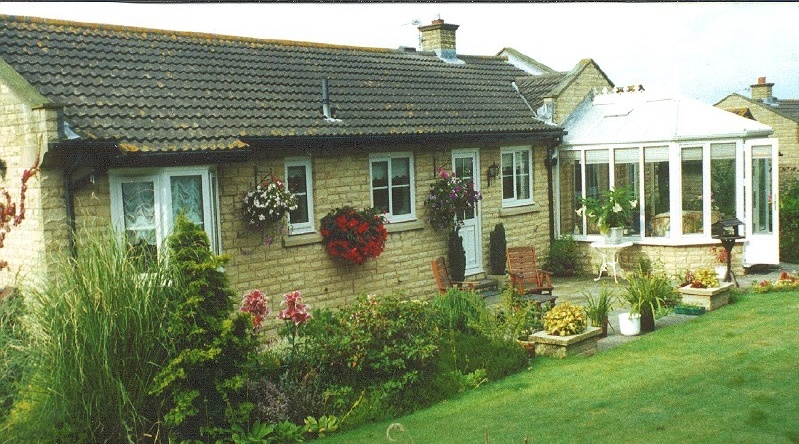 The projection of a gable-ended conservatory is the same shape as the gable end of the house, with the vertical end wall meeting the ridge of the roof. 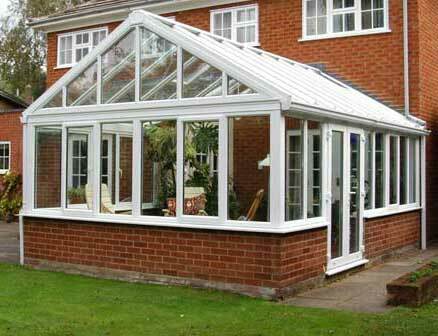 This wonderfully simple style has an elegance all of its own. 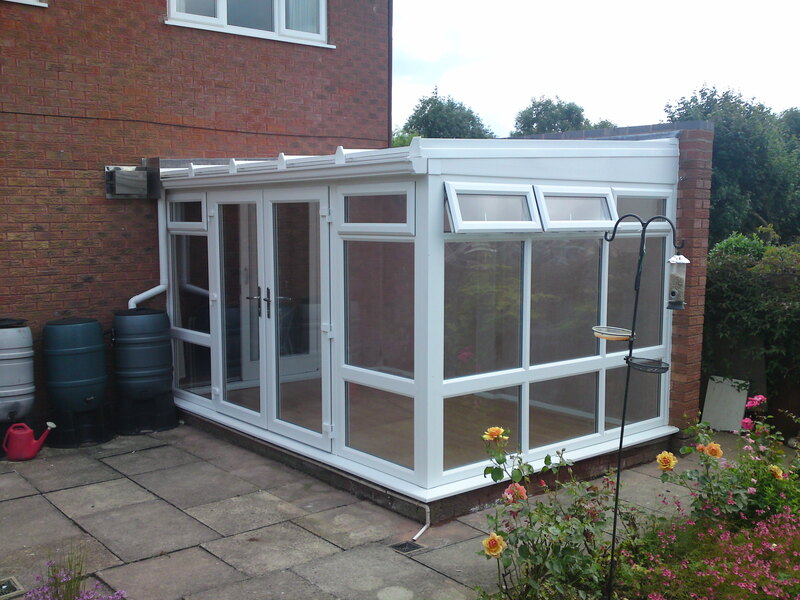 The square or rectangular footprint of the conservatory makes this the perfect way to use all the available space for your extension. 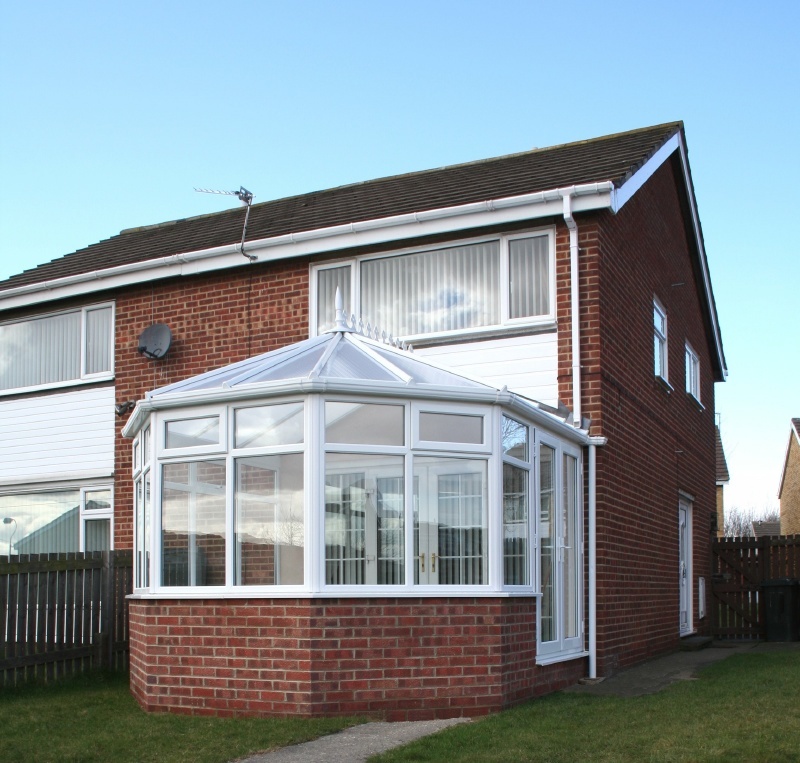 Available in a choice of colours or woodgrain finishes, your Gable conservatory will blend perfectly with the style of your home and become a real asset to your property. 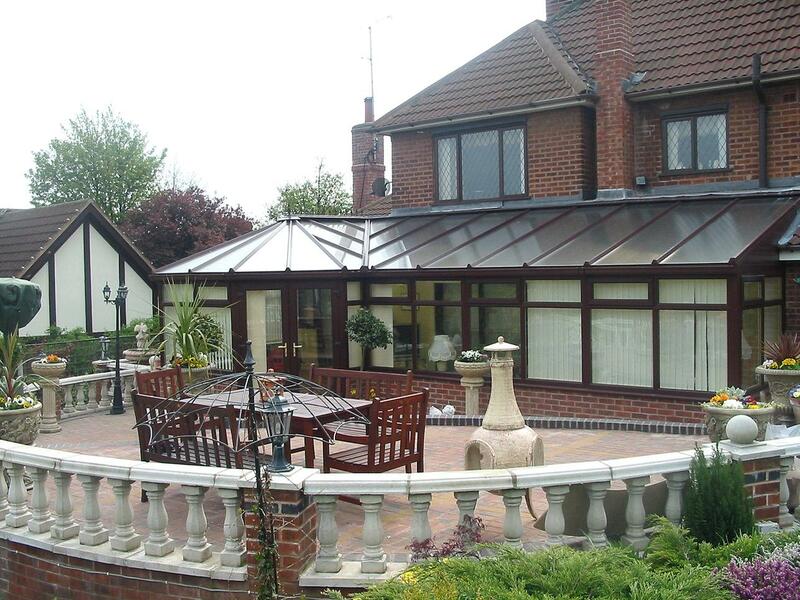 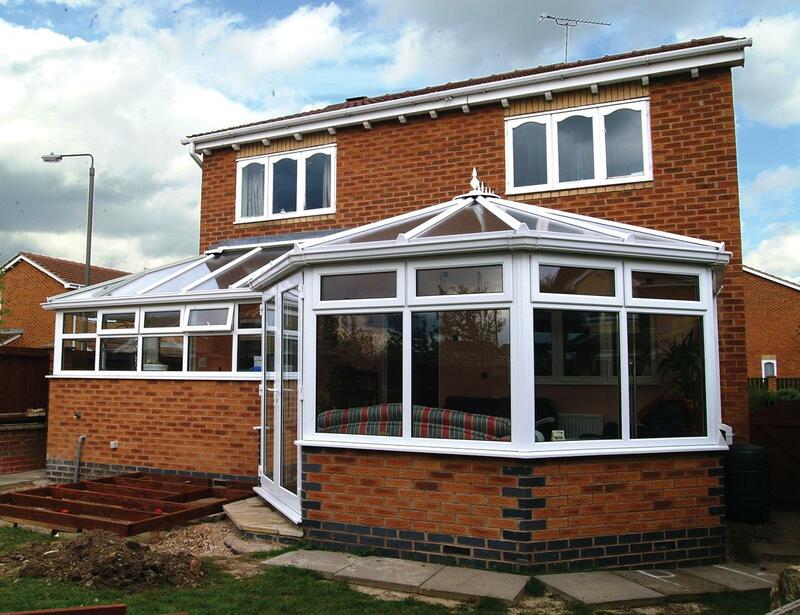 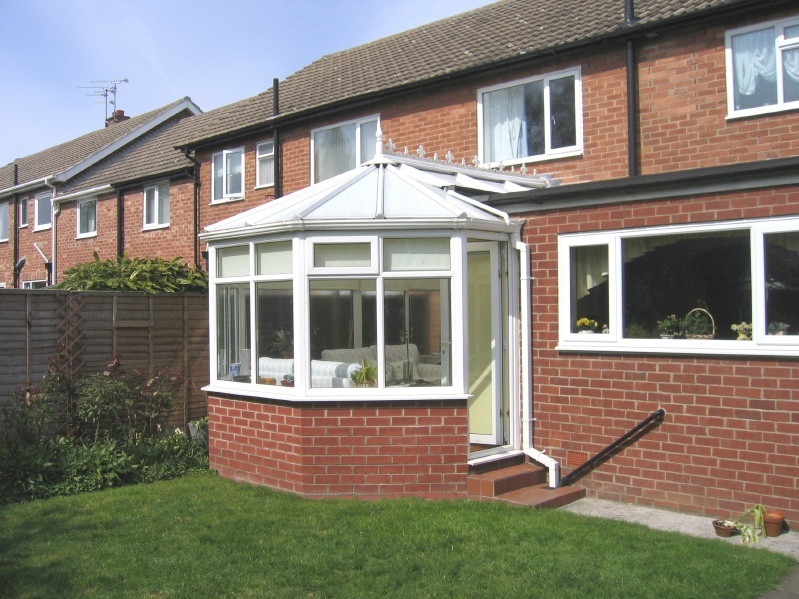 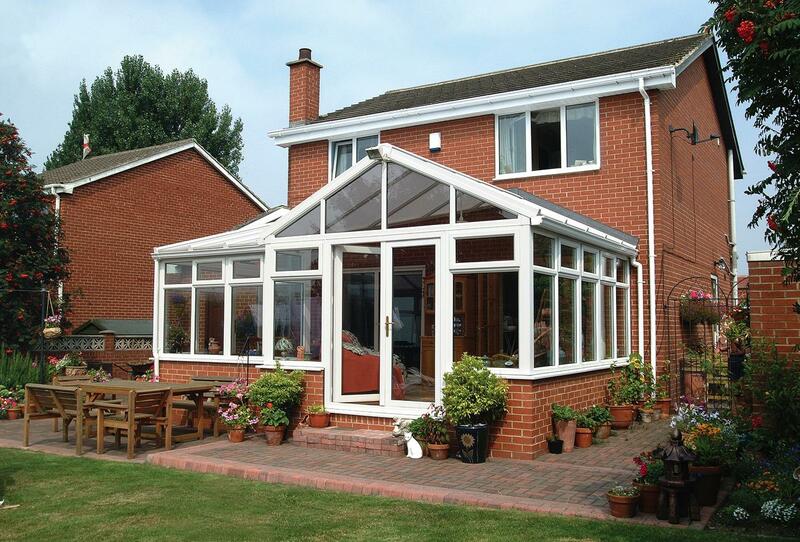 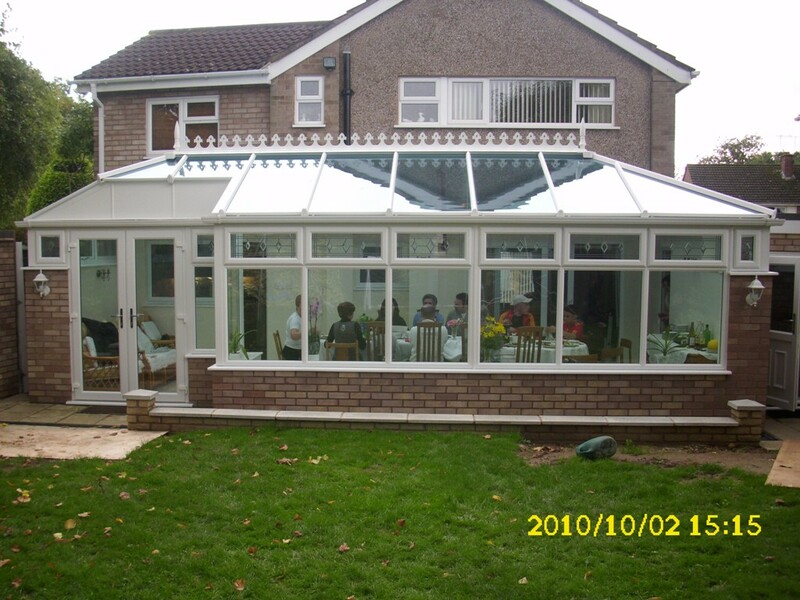 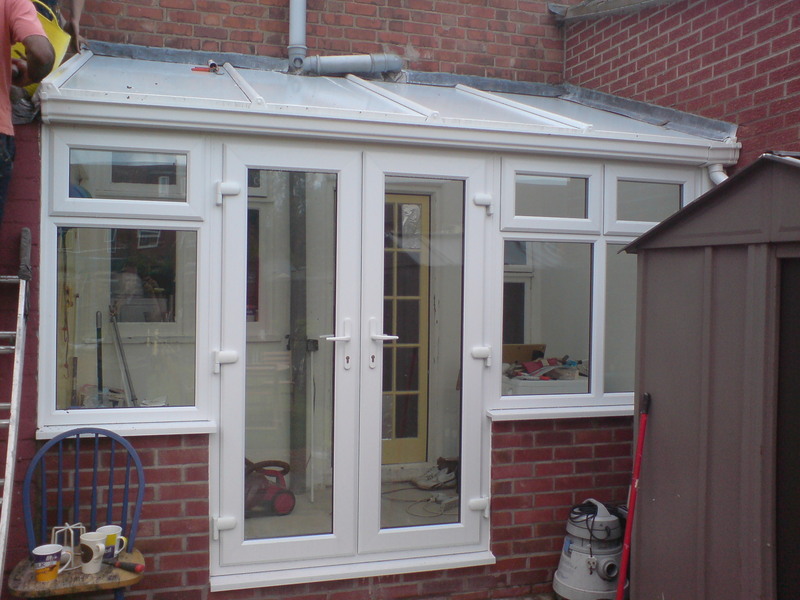 Create a distinctive, flexible conservatory space to substantially extend your home. 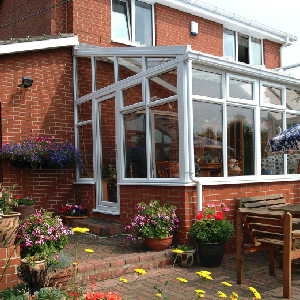 With impressive looks inside and out, P, L or T-shaped conservatories are the ideal way to create large, multi-functional extensions to your home. 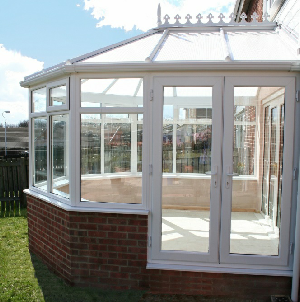 Two or more standard conservatory roof designs can be combined and configured to suit the space available in your garden. 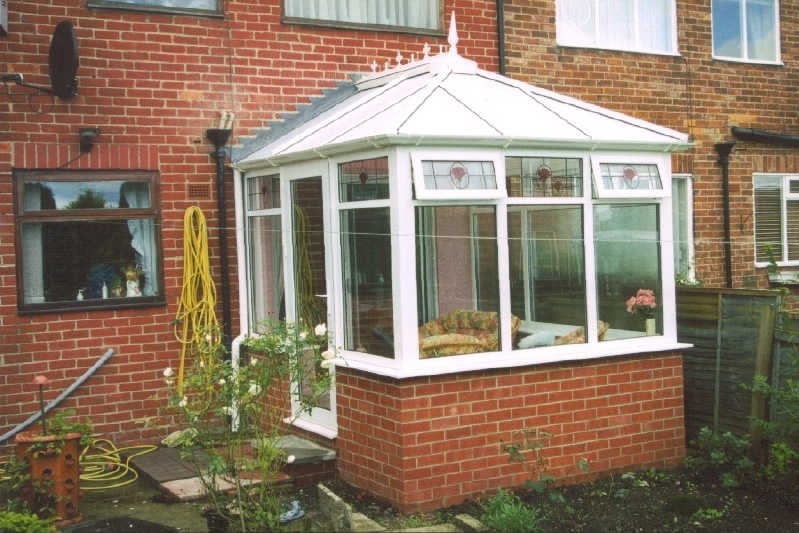 Your conservatory can feature a lean-to section along the house wall with a projection in any of the conservatory styles: Victorian, Edwardian or gable-ended. 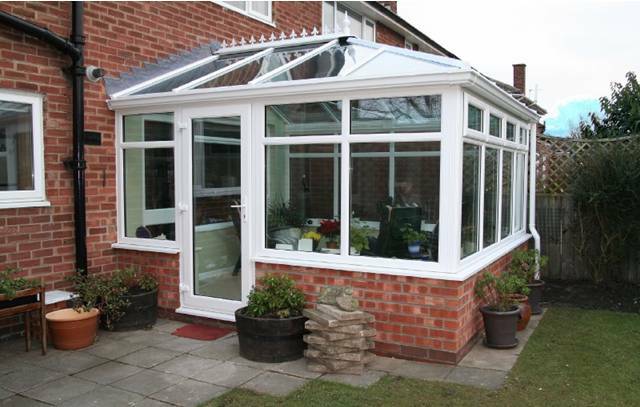 This versatile style of conservatory gives you complete freedom to create a multi-zoned space that fits your lifestyle perfectly. 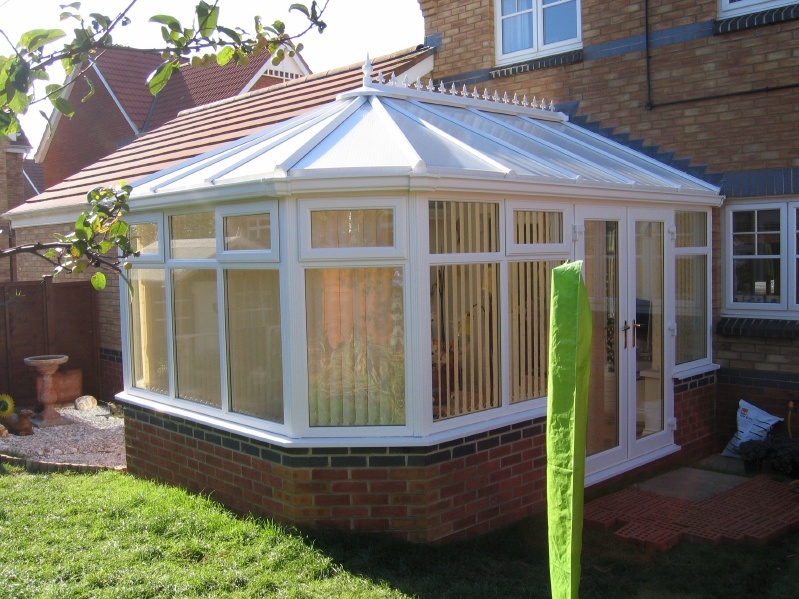 Available in a choice of colours or woodgrain finishes, your P, L or T-Shape conservatory will blend perfectly with the style of your home and become a real asset to your property. 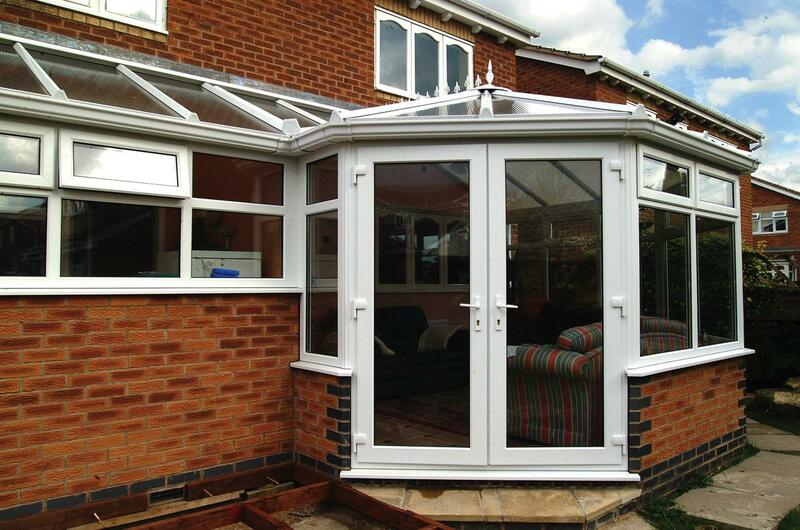 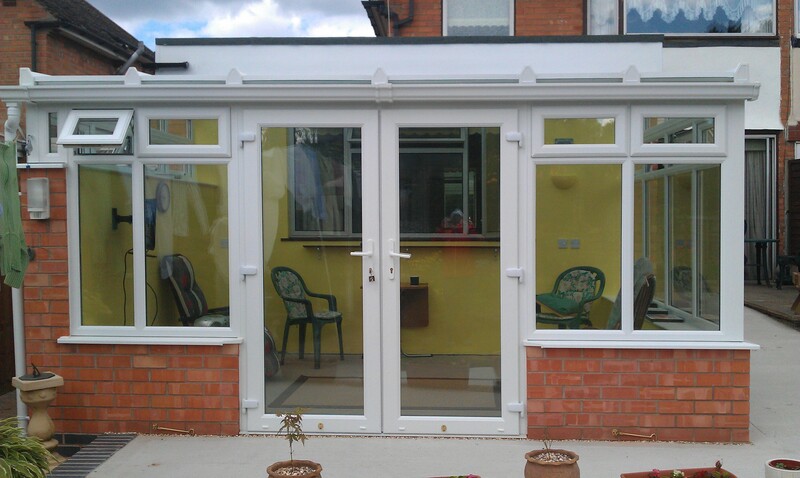 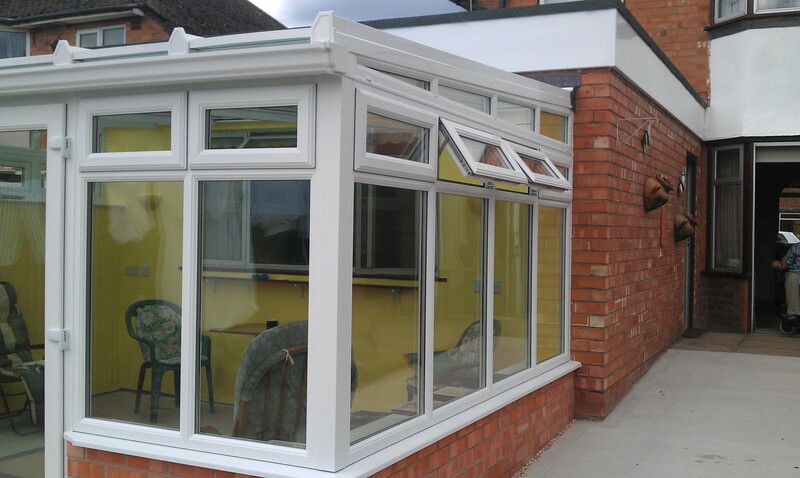 M F Plastics Conservatory & Double glazing company based in Coventry, for replacement double glazed windows, doors & conservatories in Coventry, Banbury, Leamington Spa. 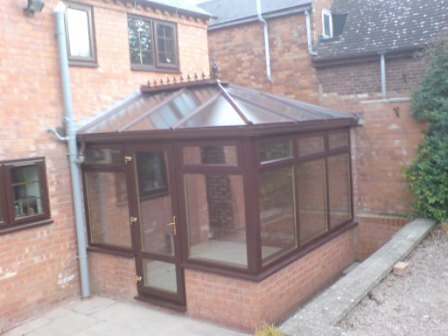 Rugby, Warwick & Warwickshire. 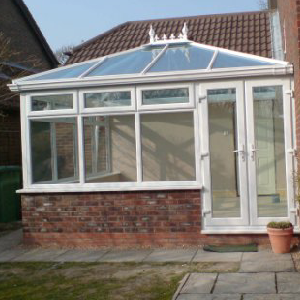 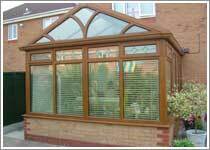 Conservatories Leamington Spa. 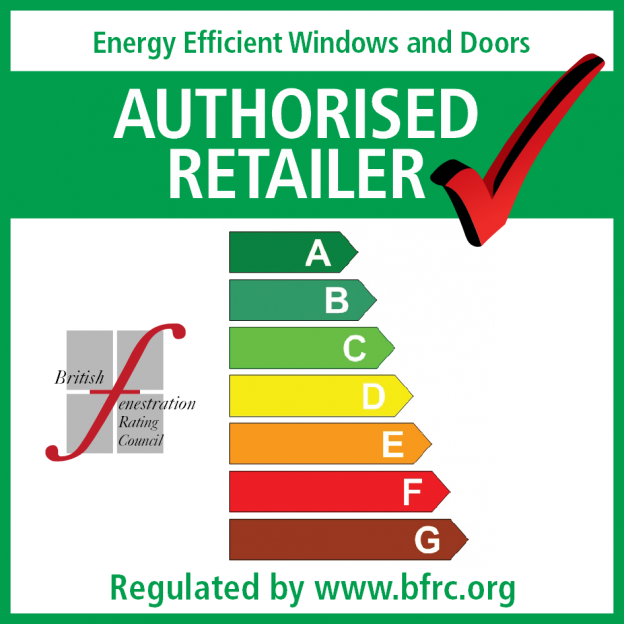 In compliance with GDPR 2018 rules, we inform you that MF Plastics will retain your personal data on file, should you accept our quotation, for the lifetime of the accompanying guarantee (10 years) for the purposes of identifying your order. 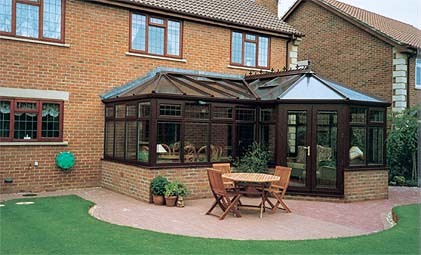 We will only share your data with third parties who are relevant to your order. 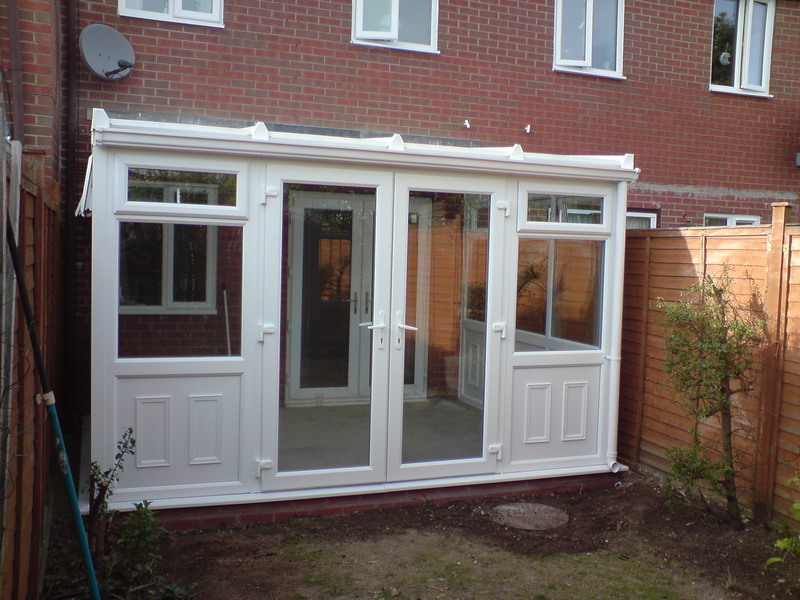 We will not hold your details on file if you do not proceed with the works, unless you give us permission to.